NEW PATIENTS ONLY. VALID AT CHANHASSEN LOCATION ONLY. 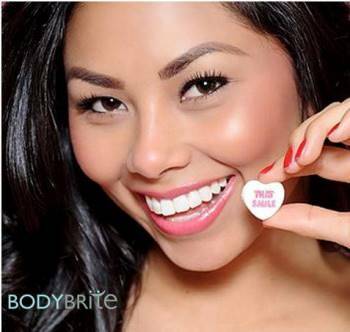 Get Up to 8 shades Briter with BodyBrite Teeth Whitening Treatments! …things that leave stains on or in the tooth enamel. In less than an hour, you can have results up to 8 shades lighter depending on your natural tooth color. And results can last from 6 months to 1 year depending on your own enamel and your personal habits. 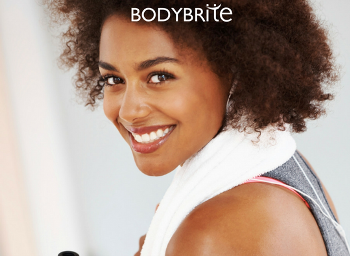 BodyBrite’s Advanced Teeth Whitening System consists of (3) three, 15 minute sessions that will all be completed during one visit. In about an hour, you will see beautiful whitening results. The whitening gel is applied to the teeth and an LED accelerator light is positioned directly in front of the teeth. After 15 minutes, the customer rinses their mouth and the entire procedure is repeated up to two more times for a total of up to three applications or treatments. And if you have sensitive teeth, our Pre-Loaded Teeth Whitening System will also give you amazing results without the sensitivity with one, 25-minute session.